First of all, HOW PRETTY?! 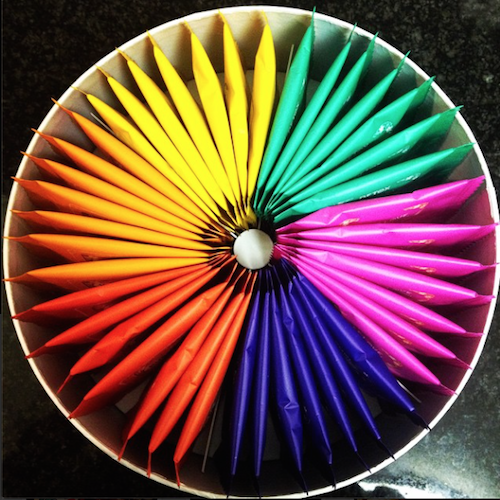 I love that this tea set assorted like a colorful pinwheel. This single handedly got me to drink tea three times a day. 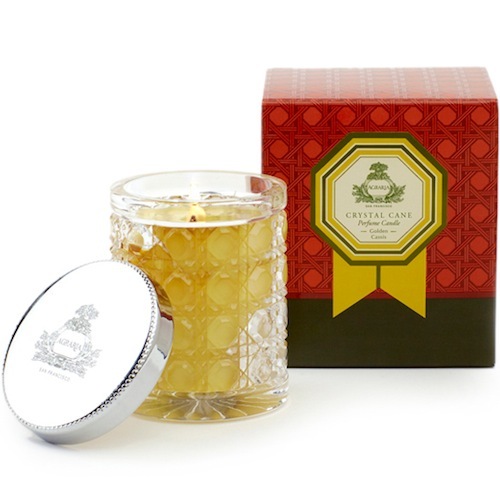 It contains a delicious selection of 42 herbal teas each delicately wrapped in muslin. Whenever we have guests over, I love taking this box out and letting them look through blends of maté, green tea and lemongrass; or ones with grapefruit, or even unlikely ones like chocolate and orange. Worth every cent. 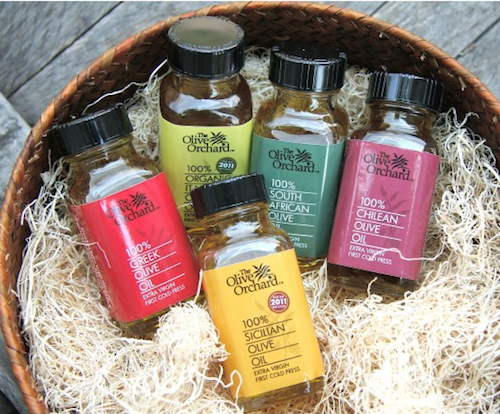 There’s nothing I don’t adore about this set — an assortment of nine 3 oz. 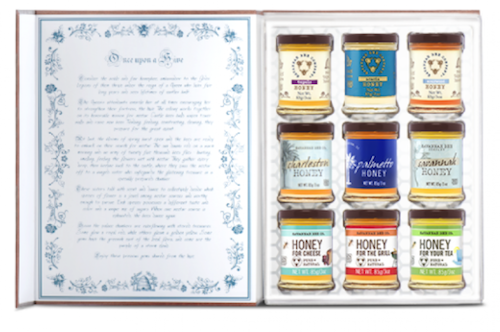 jars of Savannah Bee Honey (one of my favorite purveyors of gourmet honey) in a fairy tale gift box. I’ve had mine for a while and still can’t get myself to open any of the jars because they look so perfect nestled in this faux book case. 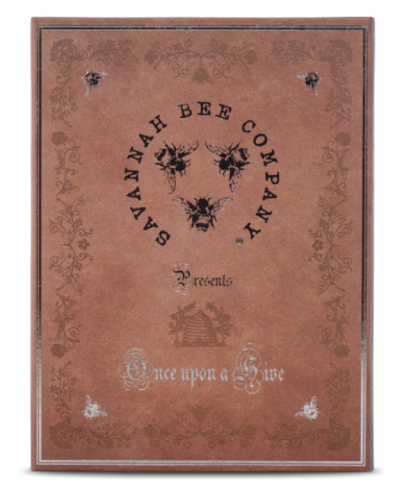 If you do have the heart to rummage through its perfect presentation, you can still use the case. Add it to your book shelf for a discreet storage case. 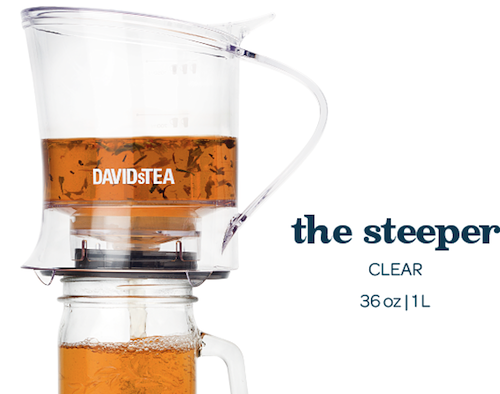 A genius and fun way to drink tea. This contains a filter in a tea pot to easily steep loose-leaf tea and once your tea is ready, just place the bottom of this over your tea cup and push down and the tea will flow through a hidden valve right into your cup, without any of the ingredient particles. Trust me anyone who loves to cook will love a set of oils like this one (I just found this one at the Olive Orchard which has a nice selection and affordable). But even getting one larger bottle tied with a pretty ribbon make a nice and useful gift. Amazon and Williams-Sonoma are also great place to look. Thought the diffuser is priced at a work of art too ($120). If $35 for a candle is also a little over budget, AirWick also makes scented candles for under $5 in frosted containers. If you buy a couple and package them in a basket, they make beautiful gifts. 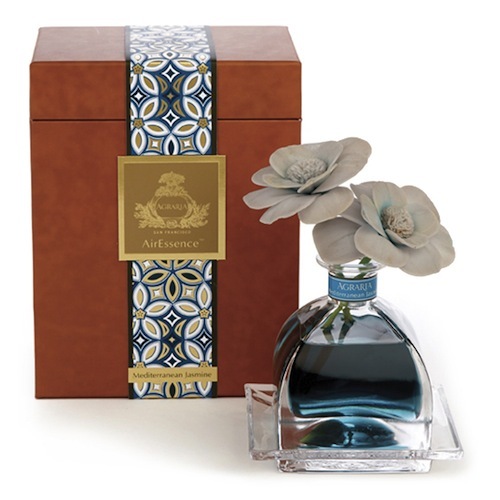 AirWick, by the way, always have special limited edition ones during the holidays that can transform a room. Make sure you get on it though, or else you’ll end up with a broken heart like I did when they ran out of their Rocky Mountain limited edition one in a green frosted case — everyone who came over always commented on it (I’m still petitioning them to bring it back!!). What gifts do you like giving a host, or getting as one? 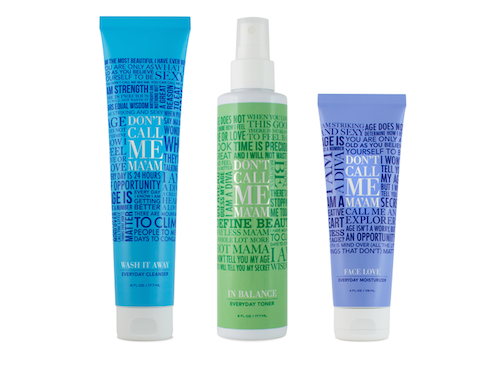 Their products are filled with botanicals and hydrating ingredients. For example, their creamy Wash It Away Cleanser has sunflower and avocado oil, while their toner is a botanical blend with allantoin, and their Face Love moisturizer has jojoba and vitamin E and has been keeping my skin soft during the colder days. Make sure you leave a comment below to let me know how you entered. Winner will be picked and notified by Dec 2nd. Good luck! 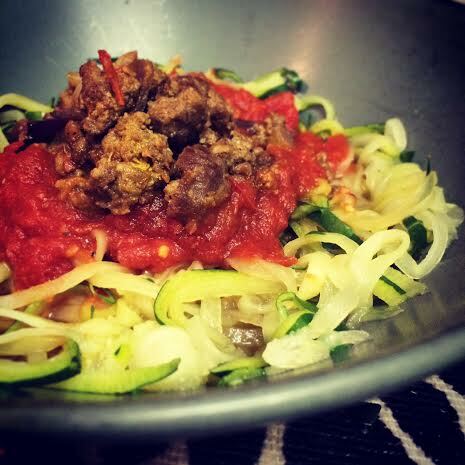 I was inspired by some of my friends to try zucchini noodles, or ‘zoodles’ (s/o to Sarah and Asma!). The easiest way to do it is to get yourself a Veggetti, one of those As Seen on TV contraptions. I sliced a zucchini using the ‘thin’ side (you can make thin or thick noodles depending on which side you twist from), and then added it to boiling water for a couple minutes. Don’t do this too long because it will end up too mushy. My friends have told me varying things, that you can sautee it to make it more crispy, or just stick it in the microwave to warm it up. Boiling it made it soft, and it was nice for this dish, though next time I might try making it a little more crispy. I cooked some beef I got from 5 oz burger from Honest Chops, a butcher shop in the East Village which specializes in organic and halaal meats (I find a big difference in the quality of meat from this one and other butcher shop meat so I like to stick to them, check them out). I made it more or less using this recipe I posted, only I added garlic salt and coriander to it. Just add a little tomato sauce and you have a healthier alternative to pasta. Anyone try the Veggetti or making zoodles? Let me know if you have any good recipes I can try :). There have been so many automatic curlers popping up lately, and the InStyler’s Tulip is the latest to join the arsenal. 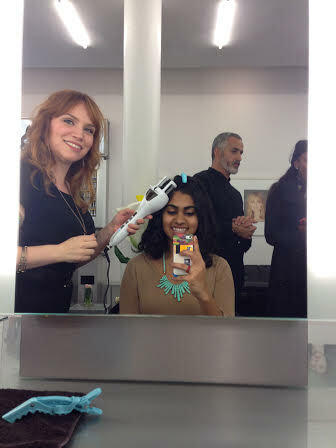 I was invited to the Cutler SoHo salon to get a firsthand look. The first thing I noticed was the design – it looks and feels very different from a traditional curling iron (most of the ceramic barrel is covered so it looks like a short rod and the design gives it the shape of its namesake). There were a few of them sitting on a table to use yourself, and another counter with stylists who were ready to help us figure out the best styles for us. It looked a little intimidating so I asked the stylist Dottie for assistance as I figured out how to use it. She obliged, sectioning off my hair and started curling by taking ½” sections and placing it in a small opening by the barrel. When you click the button, the rod rotates and curls the hair itself. All you’re doing is placing the hair in the right spot for it to do so. The same perfect curl is formed every time. One of the things that set this apart from other curlers are that there are a few different settings to help you customize your style including heat level, rotation, and timer (which helps figure out how tight you want your curls to be). I usually opt for undone beachy waves but here, we aimed for something a little different — spirals. Dottie set up the iron on medium heat, with alternating rotation and an 8-second timer and set my hair in a pretty arrangement of spiral curls. When it was finally time for me to try, I had a little trouble using the product while looking in the mirror because I already have difficulty telling my left from my right, and this was on another level, depth perception and all that jazz. Anyway, with help from Dottie, I figured it out and after the third try. So maybe it isn’t the most incredibly intuitive upon first use, but I got the hang of it. Plus it was nice not having to worry about burning myself – or really anything around me because when when I set the iron down, the heated iron stays off the table (don’t even ask how many things I’ve burned by leaving my curling iron out). Dottie mentioned – and I agreed – that this would be a great starter product for girls who hadn’t really started curling their hair. I was even contemplating getting one for my niece because it was so safe to use. Just be cognizant of using thinner sections in case a larger ones would end up in a tangled mess. It takes me about the same amount of time that it would a normal curling iron to do my whole head, but at least with this, I know all the curls would be perfect. InStyler Tulip costs $120, and is available at trytulip.com. Neutrogena threw their annual holiday party Monday night, which IMO is one of the best with their mix of beauty stations and festive bites and decor — it looked like a straight up winter wonderland with all the glitter and white at Paintbox in SoHo where they held it. The event, in partnership with Rogaine, Rembrandt, and Band-Aid, had none other than brand ambassador Emma Roberts in attendance who’s been recently making waves in FX’s American Horror Story. Roberts, who rivals Kristen Bell in the tiniest person I’ve ever interviewed category, was game to talk to me about her no-makeup philosophy (trust me, you want to know because she’s just as glowing in real life), and some beauty tips she’s picked up just being on set. Emma Roberts shares her beauty tips! Beauty and the Feast: First of all, your skin is flawless! Tell me a little bit about your skincare routine. Emma Roberts: I am really all about kind of keeping it simple as far as skincare and makeup. My one must is I always have to have SPF. I feel like when winter comes around, people stop using sunscreen and to me, that’s the biggest faux pas. For me, it’s all about taking your makeup off at night because anytime I break out is when I go to bed with makeup on. I always regret it and I’m always mad at myself when I do that so I keep Neutrogena’s Makeup Remover Cleansing Wipes everywhere— in my purse, in my carry-on, on set, in my bathroom – I just have so many packs of them because I know otherwise I won’t take it off. BATF: What is something you’re really bad about with your upkeep? BATF: Really?? Your hair is so shiny and healthy looking. Roberts: I just got it done – it didn’t look like this before, trust me. 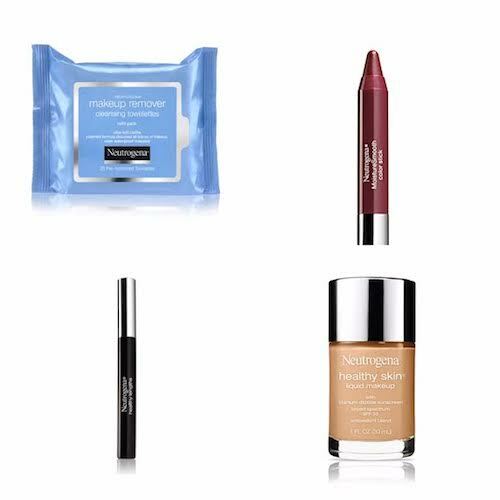 BATF: What’s your go-to makeup look? Roberts: I’m all about curling my lashes, and using mascara. I use the Healthy Lengths and Healthy Volume ones, and on my face, I use Healthy Skin Liquid Makeup. I actually don’t do full face, I use it as concealer under my eyes and dab on problem spots because I don’t really love the look of a full face of foundation. I do a little bronzer, and one of the Moisture Smooth Color Sticks because they’re so sheer and then I’m good to go. When I’m not working, I literally don’t even wear makeup. I think it’s important to let your skin breathe and to look like yourself sometimes. I feel so many younger girls wear makeup every single day. I think it’s important to be comfortable with how you look without it. BATF: Do you have any tips on how looking more awake when you’re tired? Roberts: I always have to drink a lot of water when I’m feeling tired. I also put spoons in the fridge and in the morning place them under my eyes, on top of my eyes, everywhere. BATF: Do you have any tips you picked up just from being in the makeup chair on set? Roberts: Just learning how to blend is what I learned, because it’s hard to know how to do without someone showing you. I’m better now at looking at all angles in the mirror. BATF: I always feel like we get great tips from our mothers — what was your mom’s biggest piece of beauty advice to you? Roberts: My mom hasn’t worn makeup a day in her life! She would just tell me to exfoliate my face and body and to moisturize, which are good tips especially for winter. I love making a brown sugar scrub. I always look online for recipes for that. I always use a scrub then shave and my skin gets so luxuriously soft. BATF: What’s your beauty guilty pleasure? Roberts: Manicures. I love getting manicures and pedicures, and I love going with my mom, friends or my sister. There’s nothing better than getting a manicure and reading a magazine. BATF: Any colors do you normally gravitate to? Roberts: I’m always about red, but for the holidays I’m into doing more silver and golds instead. I’m trying to be more festive with my color choices. 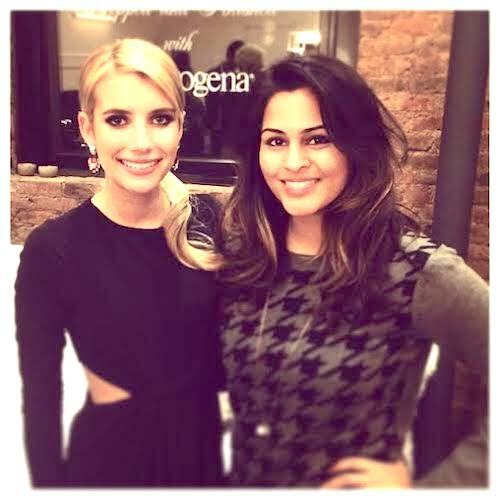 Thanks to Emma Roberts and Neutrogena for the interview! 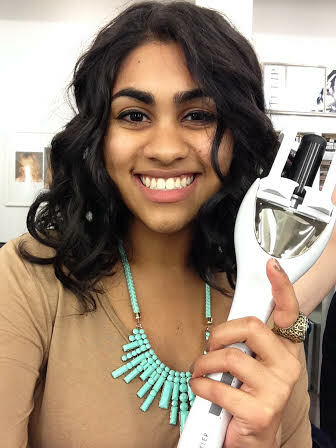 How many of you have heard of or seen Conair’s Infiniti Pro Curl Secret? 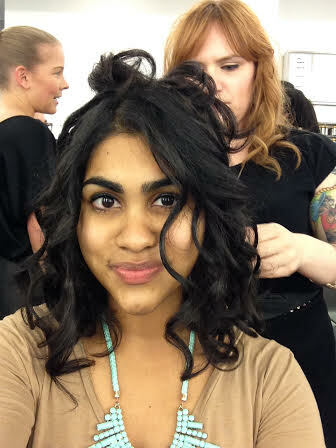 My friend Heba texted me asking what I thought about it, a new patent-pending curling iron which clasps on to hair and automatically curls it. That was my first time hearing about it, but when I did look it up, I was curious to see if it really did work. The way it works is you clasp down on to about 1/2 inch section of your hair from where you want your curl to start, and the motor will spin to automatically curl your hair inside the iron. 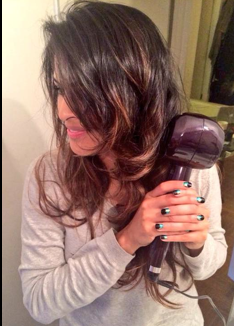 After a few seconds, the iron will beep, and when you loosen your grip on the iron, your hair will fall out curled. If all that was too hard to follow, here’s their official how-to video on using it. – First of all, it’s easy to use once you get the hang of it, but it does take some practice. 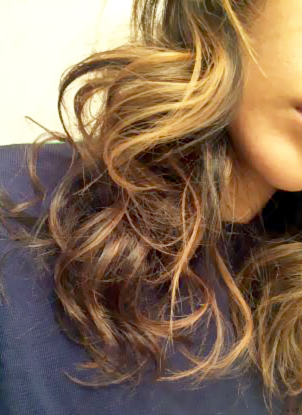 The first time I used it, I was amazed by the shiny, bouncy curls it delivered, but the second time, when I was more impatient, my curls didn’t come out nearly as nice. – Check your settings. I didn’t realize it there are 3 settings for how long you want to keep your hair curled (3, 10, and 12 seconds), and I always had it at the highest setting, which meant the longest amount of time. I kept loosening out my curls before letting it beep which meant looser, but sometimes weaker curls. Make sure you adjust it to whatever time you want it set for! – If you clasp too much hair, your hair can get caught in it. Amateur mistake, but if this happens, just unplug and slowly untwist your hair out. – If you clasp too much hair, your hair will also come out twistey, instead of curly. Just make sure you’re working with smaller sections especially if you have longer hair. – I didn’t feel like it saved a ton of time compared to traditional irons. Yes, it does automatically curl it for you, but you still have to wait a few seconds before letting it fall to get the same curl. – You don’t have as much control over how your curl looks, but with a little practice you can adjust to have tighter or looser curls. But I would note that one big thing this has on traditional irons is that you are way less likely to burn yourself with it since the iron isn’t exposed. This is coming from someone who is regularly fielding picture texts of her friends sending their burn marks from a clipless curling iron. I think they do this is their way of saying WTF to me since I’m all about them normally, but I concede that if you’re not used to them, clipless irons aren’t always the easiest to use either. And while it did take the same amount of time for me to curl my hair with this compared to a clipless, for others who don’t use regular curling irons, it can be a time saver and may be easier to use. So the jury’s out. Have you used it, what did you think? 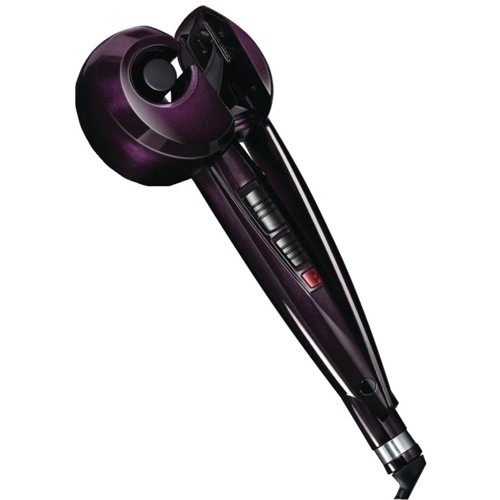 Infiniti Pro By Conair Curl Secret is available at conair.com for $120.